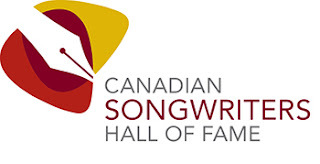 Four artists have been selected for induction into the Canadian Songwriters Hall of Fame. These will be the first new inductees into the hall in six years and brings the number of members in the Hall of Fame to 54. The new inductees will be honored on Saturday, September 23 at Massey Hall in Toronto. Among the artists performing during the evening will be Arkells, Blackie and the Rodeo Kings, Buffy Sainte-Marie, Damien Robitaille, Daniel Lavoie, Don Ross, Élage Diouf, France D’amour, Florence K, Julie Payette, k.d. lang, Randy Bachman, William Prince and Whitehorse. Stan Meissner, Chairman of the Canadian Songwriters Hall of Fame, said "We are thrilled to be back to celebrate the extraordinary careers of Beau Dommage, Bruce Cockburn, Neil Young and Stéphane Venne at this year’s ceremony at Massey Hall. These inductees truly highlight the depth and incredible legacy of the songwriting talent we have here in Canada."